(December 2, 2018) Back in the 1970s and 80s, self contained bands dominated the R&B charts, bringing equal parts of sugar and funk, and creating scores of legendary songs that we sing to this day. But the 2000s haven't been kind to bands in R&B, as solo performers have taken the spotlight. Longtime faves like Mint Condition and Earth Wind & Fire are still doing their thing to loving audiences, but newer top flight bands like Water Seed, Mamas Gun and The Rebirth find themselves as welcome rarities in the modern R&B music scene. 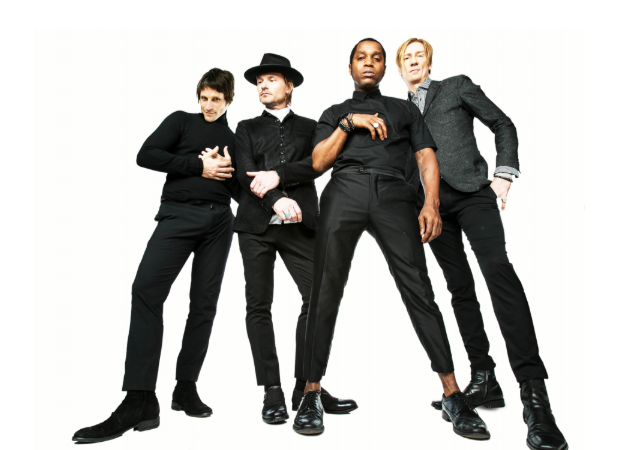 Enter into the fray Vintage Trouble, a four piece act that has been one of R&B’s best kept secrets since forming in 2010. Consisting of Ty Taylor (vocals), Nalle Colt (guitar), Rick Barrio Dill (bass), and Richard Danielson (drums), Vintage Trouble delivers a sound that is Chic meets AWB meets Hootie & the Blowfish. And they’ve built up quite a following around with world with their constant touring and appearances on Kimmel, The Tonight Show and many more. VT has just released the collection Chapter Two – EP 1, and it is all that. Covering broad musical ground – from the classic soul balladry of “My Whole World Stopped Without You” to the pop/funk blend of “Keep On Rollin” - this disc is a complete winner that we think SoulTrackers will dig. With our latest First Listen, we’re featuring the video for the lead track, “Do Me Right,” a tasty slice of dance funk. But we absolutely recommend you check out the full EP below. And let us know if you’re digging Vintage Trouble as much as we are! Vintage Trouble - "Do Me Right"